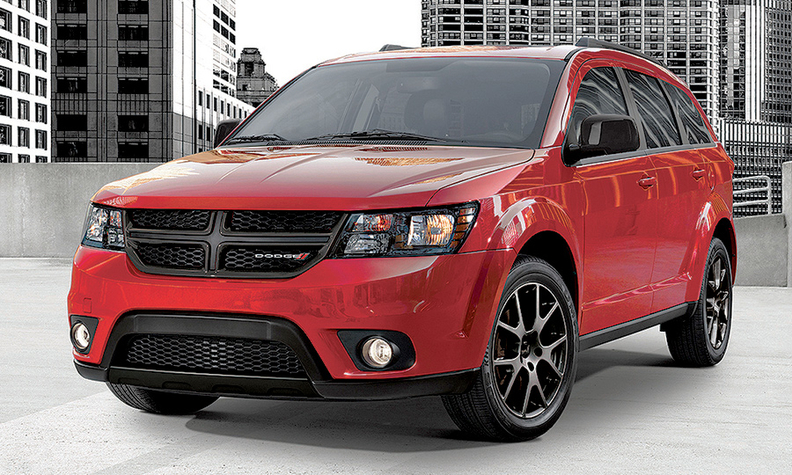 Editor’s note: The article has been corrected to reflect the fact that V-6 models of Dodge Journey are not included in the recall. DETROIT — Fiat Chrysler Automobiles' recall of nearly 900,000 vehicles for emissions problems, announced by the EPA last week, combines elements of some of the most high-profile recall campaigns of recent years. Like the recall of Takata airbag inflators, it will be a phased campaign, with notifications rolling out over the course of the year, to ensure a steady supply of replacement parts. Like the recall of Volkswagen's diesel cars, it involves emissions compliance rather than safety, which could complicate efforts to motivate owners to get the repair done. And like both of those recalls, it will be costly. Fiat Chrysler's emissions-related recall covers 862,520 vehicles and will be conducted in phases this year, following a pattern developed for the Takata airbag inflator recalls. The campaign involves replacing catalytic converters, which contain precious metals and can be labor-intensive to work on. To make the vehicles compliant, dealers will need to replace the converter and perform engine calibration changes. All the recalled vehicles have four-cylinder engines and use a single catalytic converter, FCA said. While prices for the converter vary by size, a Dodge dealer in Union City, Ga., said the retail price of the converter for a 2011 Dodge Journey is $516.60. So, based on the typical 40 percent retail margin on repair parts, a replacement converter would be expected to cost FCA about $370. FCA spokesman Eric Mayne wouldn't comment on the expected cost of the recall. The automaker said it accounted for the cost last year in anticipation of the recall campaign and that there are no related fines. FCA will be able to recover some costs by recycling the old converters, which the company says is a normal part of a catalyst replacement campaign. Catalytic converters contain platinum, palladium and rhodium, which can be recycled. How much FCA will compensate dealers for labor is unknown. Some vehicles require technicians to remove several parts to access the converter. And on older vehicles exposed to road salt, rusty or brittle bolts in the exhaust system can complicate repairs and add time to the recall. "Sometimes when they're old and caked on, they're harder to get off," said Steve Wolf, dealer principal at Helfman Dodge-Chrysler-Jeep-Ram in Houston. Wolf said big recalls used to "startle us," but he now considers his store battle-tested and able to handle the recall methodically. "Do you know how to eat an elephant? One bite at a time," Wolf said. Mark Chernoby, FCA's chief technical compliance officer, said during a conference call last week that FCA alerted the EPA to the problem after discovering it during routine in-use testing required by federal regulations on vehicles as they age. Mayne said engineers discovered that sulfur in gasoline affected the washcoat inside the catalytic converter and caused it to fail. The washcoat is where chemical reactions take place to reduce emissions of carbon dioxide and other gases. While an emissions-related recall may not motivate consumers to seek repairs the way a safety recall would, Chernoby said he isn't concerned. "If these would've been 1990 vintage issue vehicles, I would've said we may have to try quite hard to get them back," Chernoby said on the call. "But this age of vehicle, I expect a pretty good response rate based on history." Chernoby said FCA has devised a "recall playbook" over the years. He says the playbook calls for mailers to be sent to owners in the first outreach stage. Then, depending on success, the company could change course. "If we don't see the type of response rate we would historically expect or want, we might move on to other activities [such as] social media, etc.," he said. "It's similar to what you see other OEMs doing." FCA began sending mailers regarding the emissions recall last month, Mayne said. FCA has a history of tangles with federal regulators over the timeliness and effectiveness of its safety recall notifications. In 2015, the automaker reached a consent decree with NHTSA, the nation's top safety regulator, calling for stricter policies that were to be model for the industry.